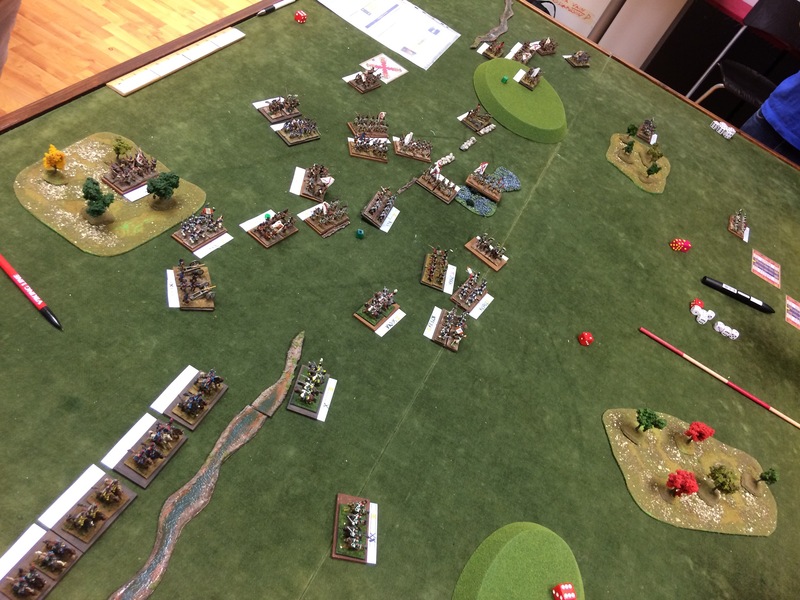 We were having a go at Napoleonics with Jim. 200 points of Spanish vs French in an early Peninsular game. The Spanish hordes managed to hold their lines and beat back the higher quality French. Very nice game, the system is one of our favourites.